The Z4 roadster has been launched as a CBU in India and will face competition from the Mercedes-Benz SLC and Porsche 718 Boxster. Prices start from 64.90 lakh for the sDrive20i Sport Line variant, 67 lakh for the sDrive20i M sport and 78.90 lakh for the top spec M40i variant. 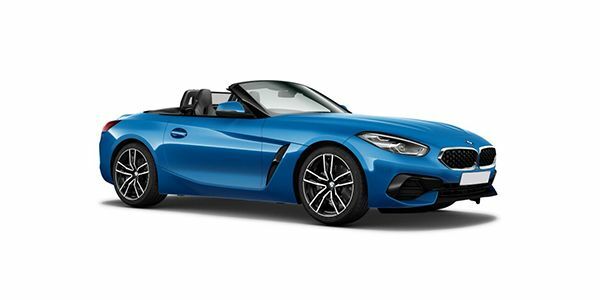 BMW’s latest iteration of the Z4 is based on a platform which is shared with the Toyota Supra. Two variants of the roadster will be available in India: sDrive20i and M40i. The car now packs a 3.0-litre inline-six turbocharged motor that churns out 340PS of power and 500Nm of torque. The sDrive20i, on the other hand, gets a 2.0-litre 4-cylinder unit that is good for 197PS and 320Nm. An 8-speed ZF automatic gearbox will be offered with both these engines. The M40i variant does 0-100kmph in under 4.5 seconds, along with a top speed of 250kmph. The sDrive20i takes 6.6 seconds to reach 100kmph and tops out at 240kmph. BMW Z4 prices start at Rs. 64.90 lakh (Ex-Showroom). BMW Z4 is available in 2 variants . The claimed ARAI mileage for the BMW Z4 petrol is 14 kmpl.